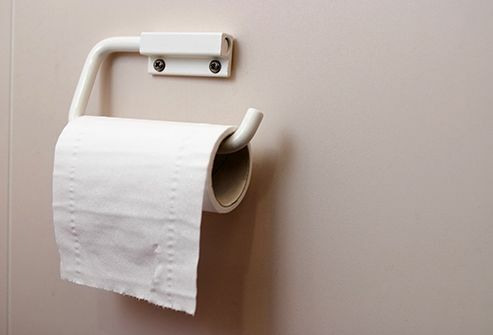 This condition causes pain in your belly area and changes in bathroom habits that last at least 3 months. Your doctor will need to make sure you don’t have something like lactose intolerance, celiac disease, a bacterial infection, or parasites before she can make a diagnosis. This makes your body attack your digestive tract by mistake when you eat gluten, a protein in wheat, barley, and rye. It most often causes diarrhea, fatigue, and weight loss, but you also might have aching joints, rashes, headaches, depression, and seizures. Other conditions can cause some of those things, too, like ulcers, Crohn’s disease, and irritable bowel syndrome. 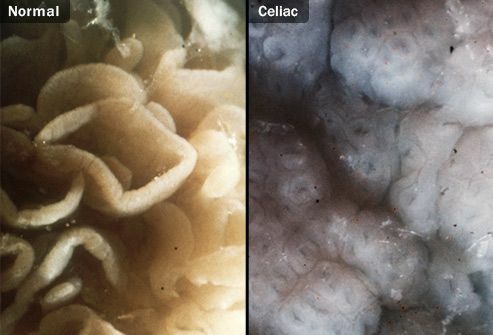 Your doctor may do blood tests and take a tiny piece of your intestine to see if you have it. 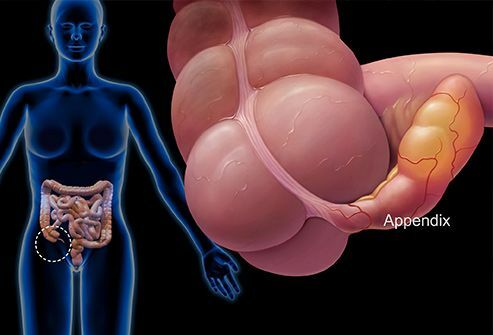 This is when your appendix (the small finger-like pouch attached to your intestine) gets inflamed. It can cause pain around your belly button. It starts suddenly and moves down as it gets worse. You also may have nausea, vomiting, fever, constipation, or diarrhea. It’s not always diagnosed right away because Crohn’s disease, pelvic inflammatory disease, intestinal obstruction, and colitis can feel the same. A physical exam and imaging tests can help tell if you have it. 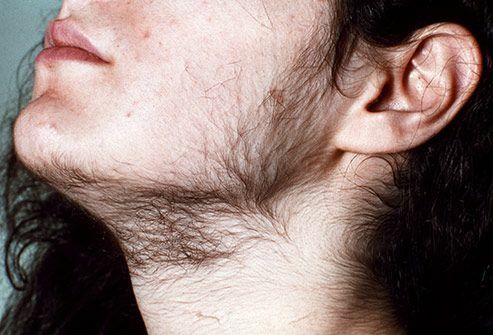 When your thyroid, a gland in your neck, makes too much of the hormone thyroxine, it causes this condition. You may be nervous, anxious, or irritable, and that can seem like a mood disorder. It helps to tell your doctor about all your symptoms, which also might include weight loss, a racing heartbeat, or unusual sweating. Those, along with blood tests, can help point your doctor toward the right diagnosis. 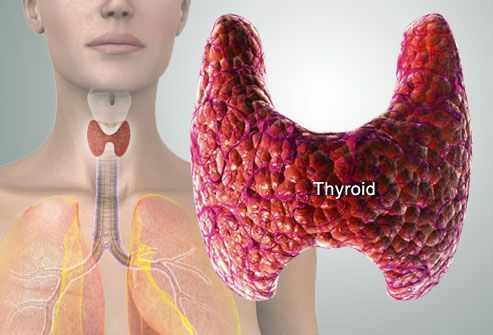 If you feel sluggish and have been gaining weight, those can be signs that your thyroid isn’t making enough thyroxine. It also may thin your hair, change your bowel movements, and make you more sensitive to hot and cold. These symptoms, along with blood tests, can help your doctor figure out if you have hypothyroidism. This is when your breathing stops and starts while you sleep. It can leave you irritable and foggy-headed in the morning, with dry mouth, sore throat, and a headache. But those could be signs of the flu, a cold, or other conditions, too. 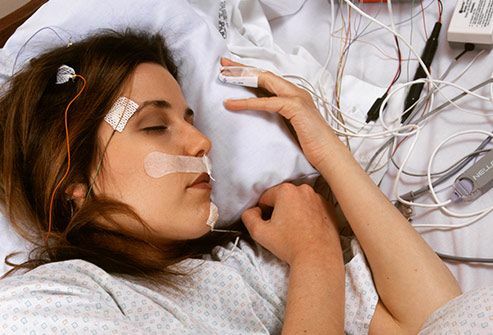 To know for sure, your doctor may recommend a sleep study, where a technician records your brain activity, heart rate, breathing, and oxygen levels, and notes if you snore as you sleep. 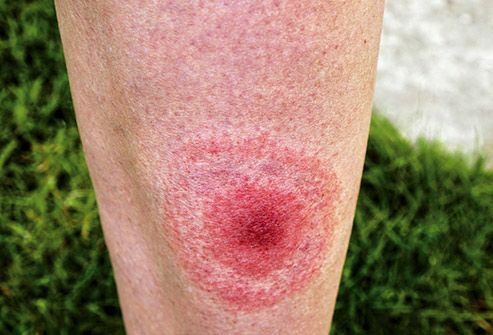 It happens when a deer tick infects you with a certain bacteria through a bite. A bull’s-eye rash is one sign you’ve been infected, but that doesn’t always show up. 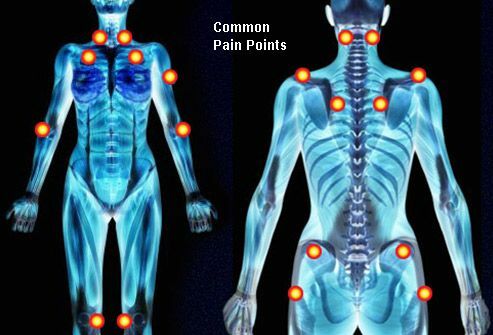 And while you may have a headache, joint pain, and dizziness, those can be caused by lots of things. Early treatment is important, but signs of the disease may not show up in a blood test for a few weeks, so scientists are looking for other ways to diagnose it. There’s no test for this, so your doctor will first make sure your aching body isn’t caused by arthritis, lupus, or something else. If you have sleep problems or can’t think clearly, she also may try to rule out depression or anxiety. Once she’s sure nothing else is causing your symptoms and has watched them closely for a while, she may tell you that you have fibromyalgia. Here, your immune system, which usually protects you, attacks tissues and joints. Like some types of arthritis and fibromyalgia, it can make you tired and achy all over. 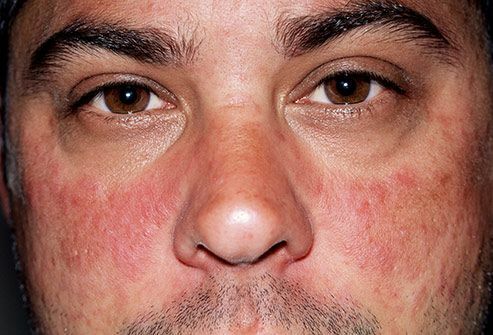 A certain rash can help your doctor pinpoint lupus, but not everyone gets it. No test can show that you have it, and symptoms can be different for everyone and may come and go. A physical exam and tests can rule out other conditions, then your doctor can watch your symptoms to tell if you have lupus. This makes brain cells stop working the way they should. You may have a shaky arm, stiff neck, balance problems, and your face may look different. 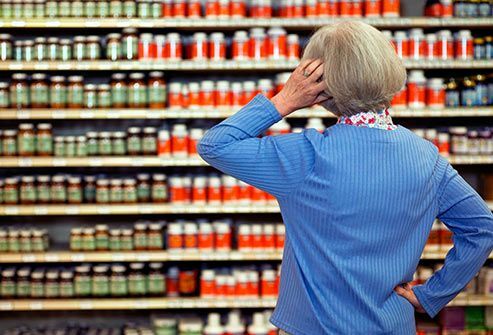 But these also could be signs of a stroke, head injury, Alzheimer’s disease, and even stress. There’s no standard test, so it can take years to know for sure if you have it. 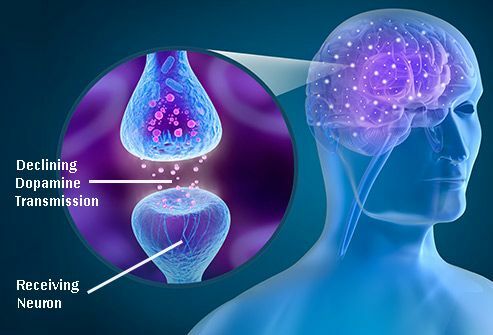 Imaging tests that show how your brain uses the chemical dopamine may help lead your doctor in the right direction. 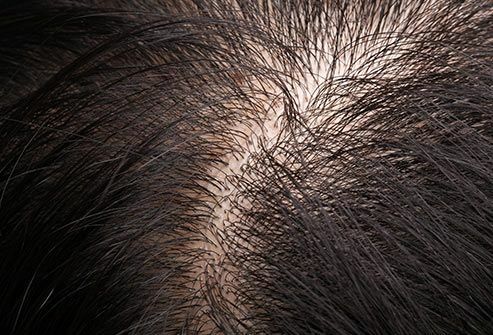 This causes your immune system to attack the coverings on certain nerve endings. That makes it harder for your brain to tell your body what to do. It can cause tiredness, vision problems, weakness, dizziness, depression, and other symptoms that could suggest a number of conditions. There’s no test that, by itself, can confirm you have MS, but imaging scans or tests of your spinal fluid can help narrow things down. If you’re tired all the time for 6 months or more for no clear reason, this might be the reason. It also can bring on sore throat, headache, muscle pain, sleep problems, and trouble focusing. But these also can be signs of sleep apnea, insomnia, thyroid problems, anemia, diabetes, and other conditions. There’s no test for chronic fatigue syndrome, so your doctor has to rule other things out before making a diagnosis. If you have these, your doctor can test your blood to rule out other things, like gland problems. If that doesn't show anything, she’ll use your medical history, a physical, and an ultrasound of your ovaries to see if you have PCOS. 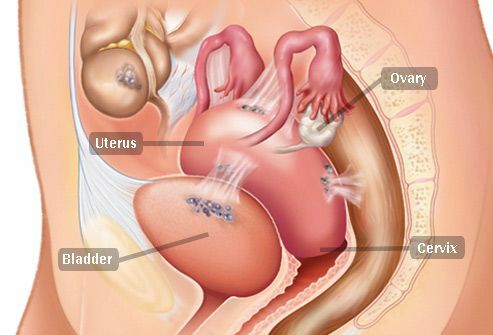 This happens when the tissue that lines a woman’s uterus grows outside of it. It can lead to serious pain in the lower belly and problems getting pregnant. Endometriosis can be confused with other things that cause pain in the same area, like a cyst on an ovary or irritable bowel syndrome. The only way to know is with laparoscopy: A doctor puts a thin tube with a light and a lens on it through a cut in the belly to look. He also may take tissue to check.